Some of Earth’s energy is emitted back into space. That energy can be measured by instruments such as NASA’s TERA/CERES. 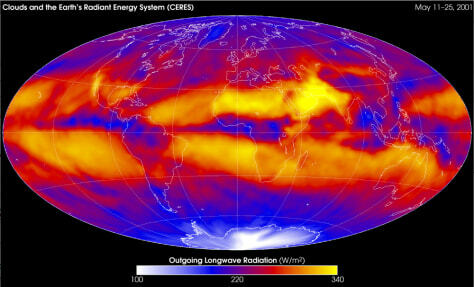 Yellow and red zones indicate higher energy emissions.